This post just about killed me - I cannot wait any longer for summer to get here! The colors, the sun, the sunnies, I love it all! These pictures seriously make my heart flutter! I'm so ready for summer! The clothes, the fun, the long days, the beach! Yes, please! You are making me want to go to the beach sooo bad. I knew I should've gone somewhere for Spring Break! I'm dying for summer and a beach vacation! These pictures are making me want to go to the beach even more! i seriously need a vacay STAT. this grad school thing is killing me! lol but loving your pins girl. that bathing suit is adorable & so is that 1st outfit. love the striped top! i've also pinned that turquoise fringe bikini! i want it sooooo bad! oooh how i love summertime. love the aqua fringe swimsuit, need it! that lilly filled suitcase is just a dream come true! I know I will kick myself the whole summer if I don't order that fringe bathingsuit before it's sold out absolutely everywhere because it almost is! Love it, can't wait for summer!! I love these summer pins! I am more than ready for it to be hot! o my goodness I am dying for Summer! These pictures make me long for the end of the semester and summer. 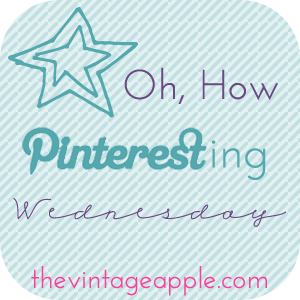 I found your blog last night on Pinterest, and I fell in love with it!